Gokal Puri, Delhi, India- 110094. Presently, I am doing research at Department Of Botany , University Of Delhi. I appeared in gate life science test 2013. What is the actual tuition fee for class xii biology for CBSE? It varies. I offer @ Rs 200 per hour. How many days I want learn English? Depends if you want to start from zero and a good learner you should require not more than 6 months. 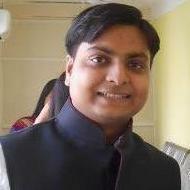 Satya Prakash Chaurasia describes himself as Biology Lecturer. He conducts classes in BSc Tuition, Class 11 Tuition and Class 12 Tuition. Satya Prakash is located in Gokal Puri, Delhi. Satya Prakash takes at students Home, Regular Classes- at his Home and Online Classes- via online medium. He has 10 years of teaching experience . He is well versed in Hindi and English.